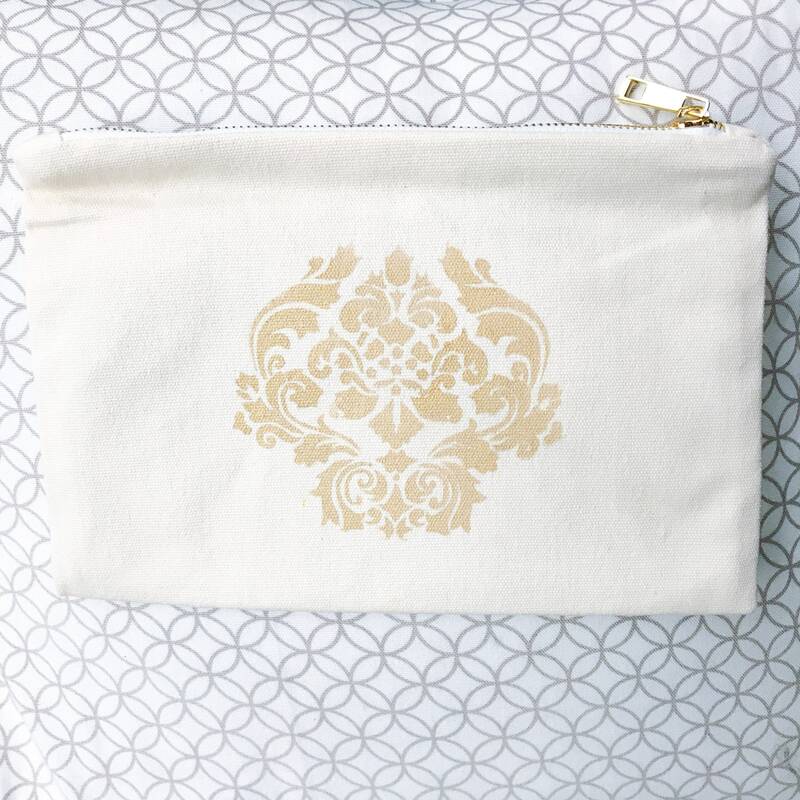 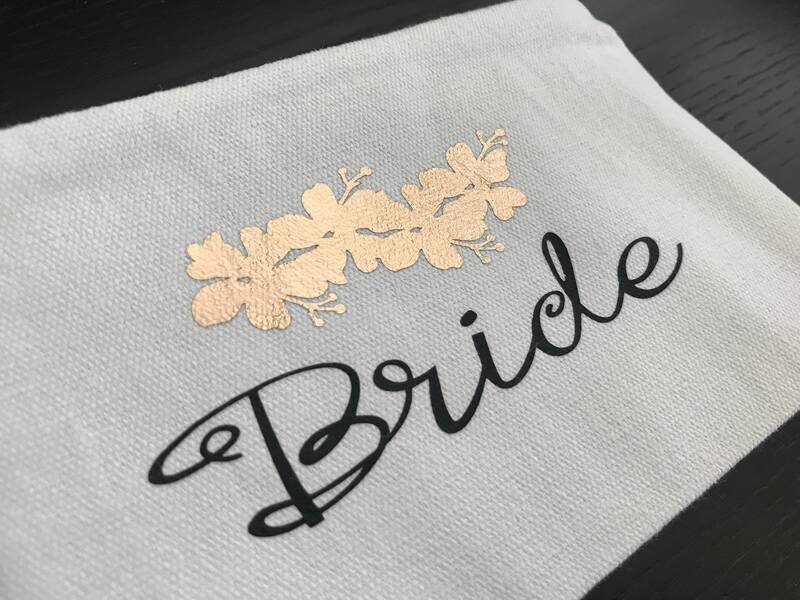 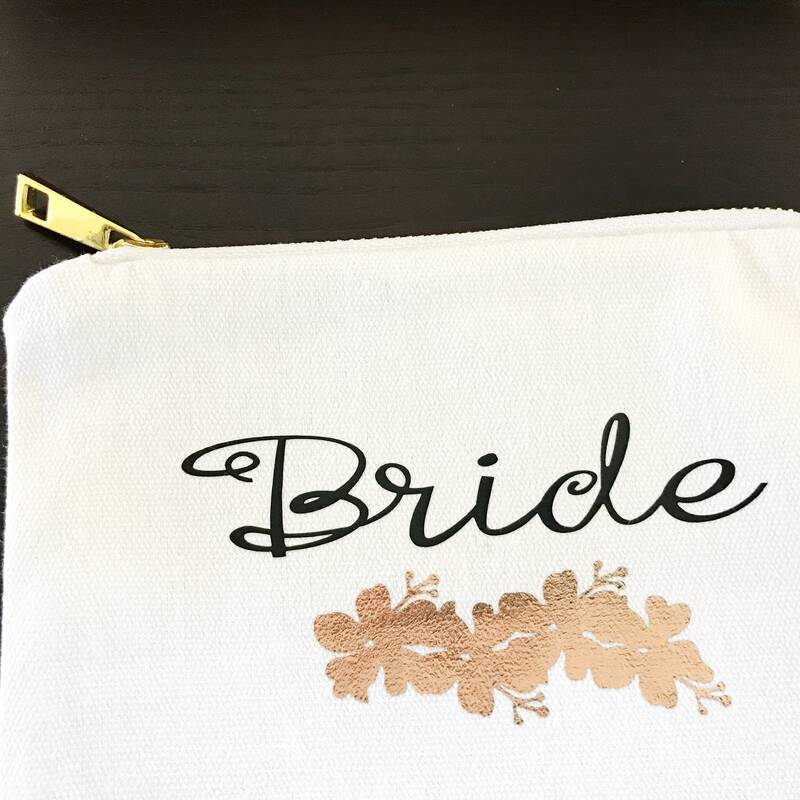 This gold zipper canvas case is a cute & unique gift for brides, mother of brides, & bridesmaids. 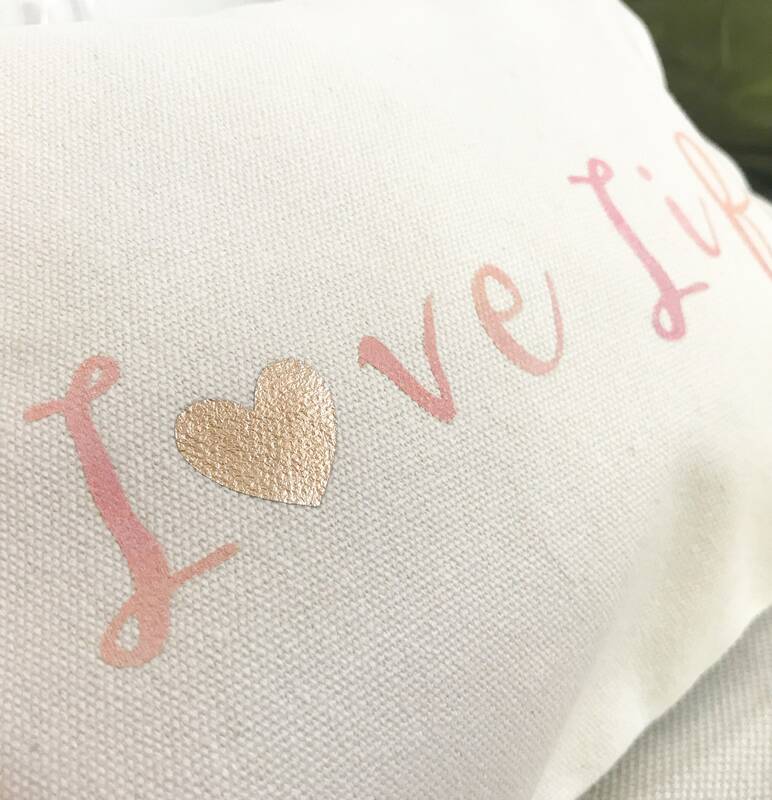 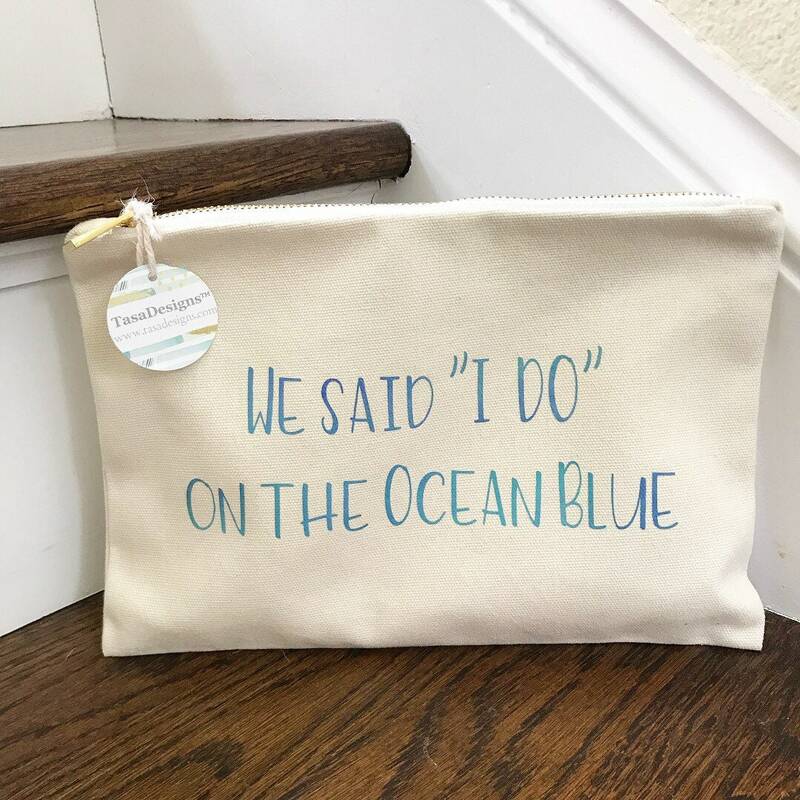 Coming in 2 sizes, each can be personalized with desired phrases or names within the theme of your wedding or bridal shower. 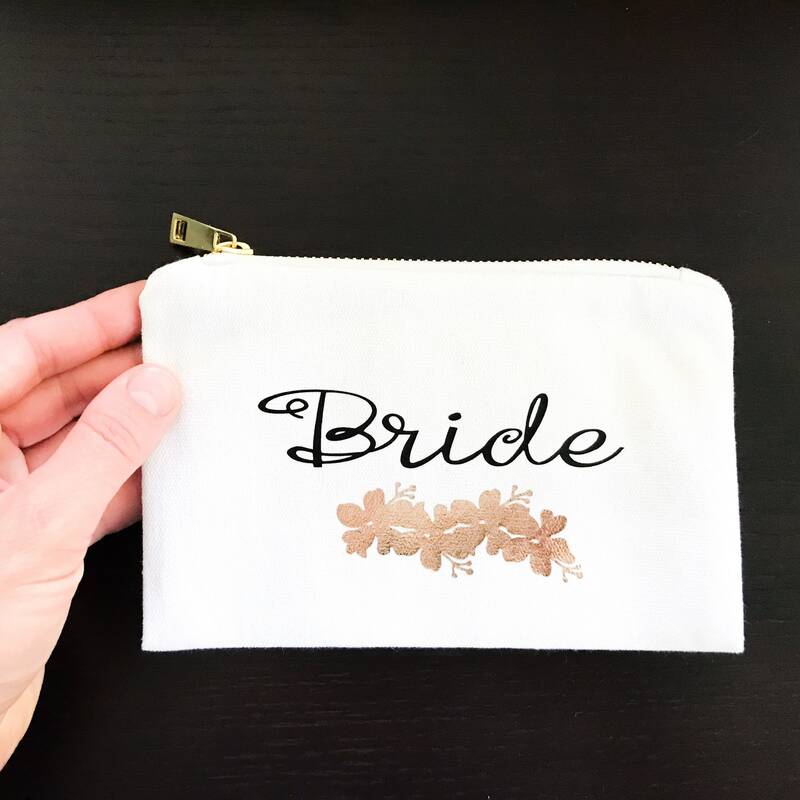 Fill them with goodies and give them to your bridal besties as bridesmaid gifts at your shower or rehearsal dinner! 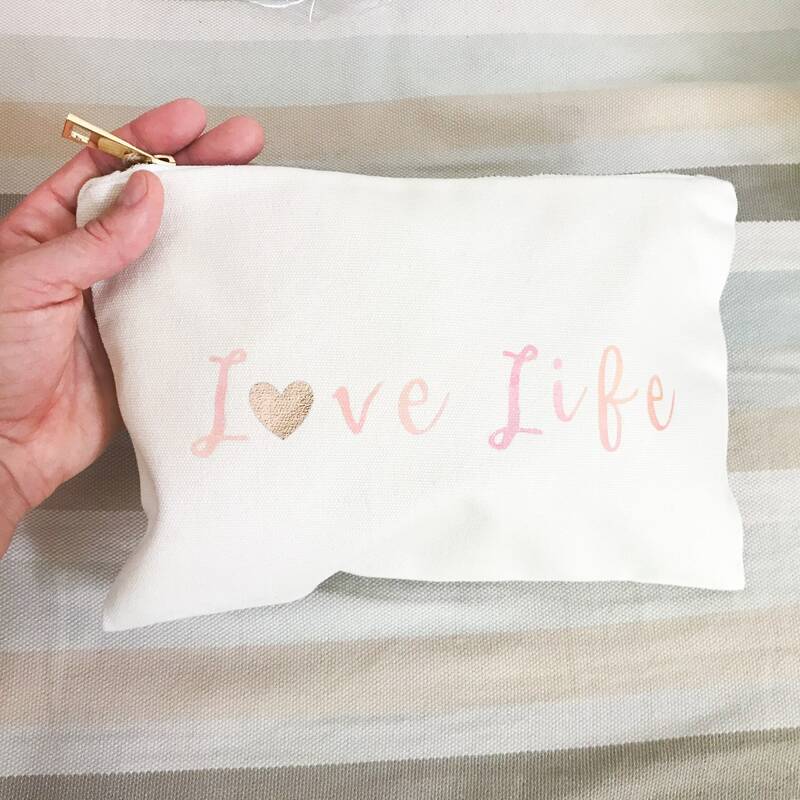 These pretty cases can also be useful and fun to take along on the honeymoon for toiletries and cosmetics. 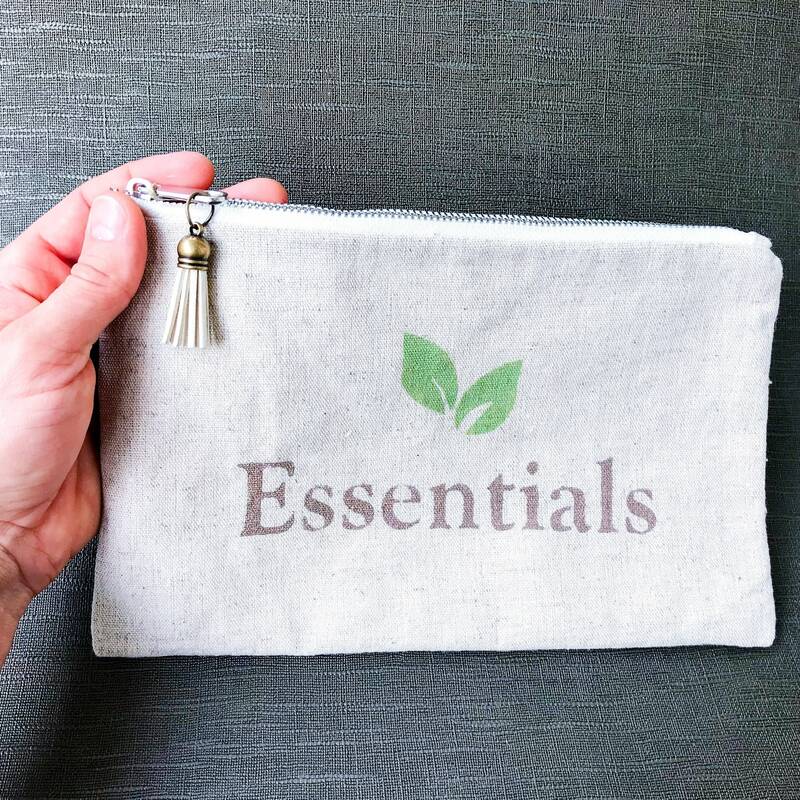 They are great for organizing all the little things; such as cosmetics, toiletries, day essentials, or anything floating around in the bottom of your purse, beach bag, travel bag, or anywhere else! 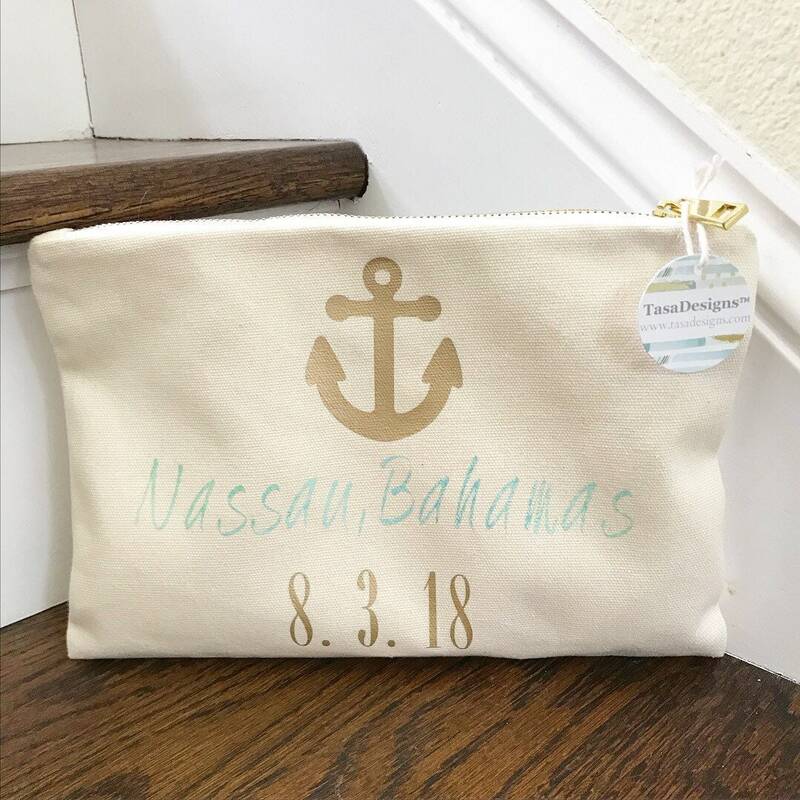 FOR PERSONALIZATION, please specify each name, bridal theme and colors, quantity, and bag size. 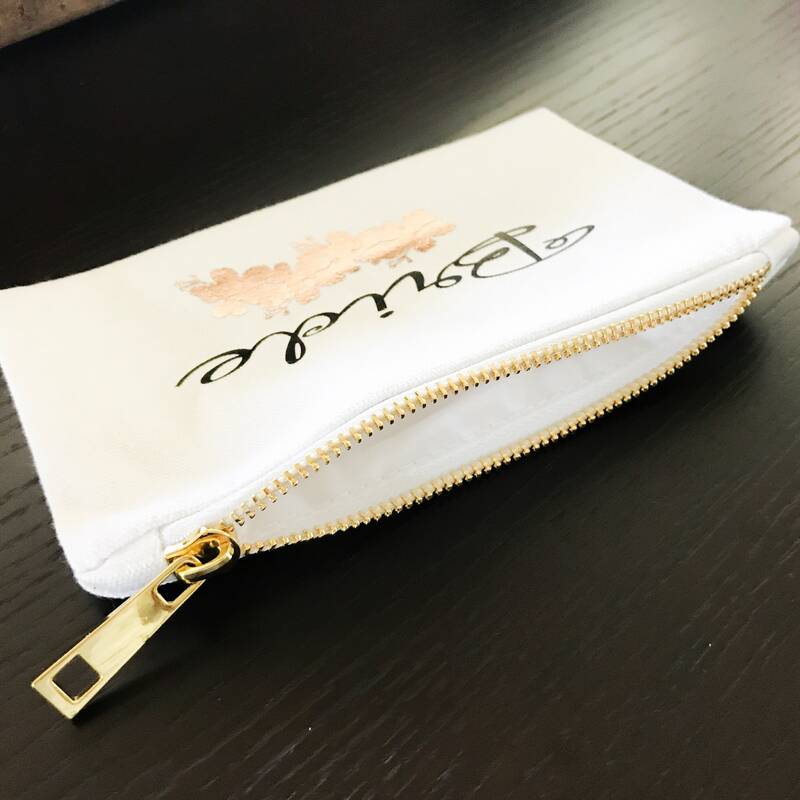 Inquire anytime, or add any comments in the message section at checkout.